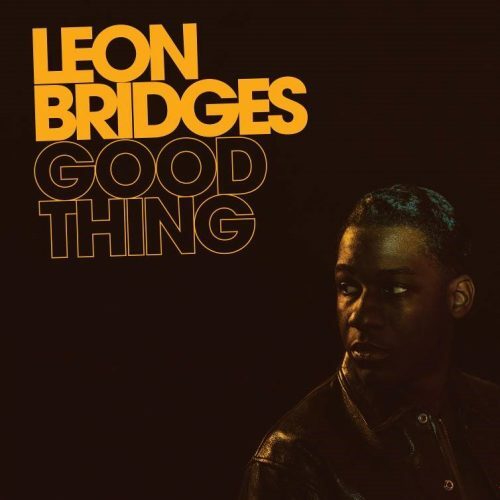 Columbia Records is proud to announce Good Thing, the eagerly awaited sophomore album from Grammy Award nominated R&B recording artist and songwriter Leon Bridges. The album will be available both digitally and physically on May 4. The pre-order is live now and can be found here. Good Thing, the follow up to Leon’s critically acclaimed, award winning, Certified Gold debut album Coming Home, was Executive Produced by Ricky Reed and Niles City Sound and Produced by Ricky Reed. Leon and his long time collaborators and Coming Home producers, Niles City Sound, headed out west to work with Reed with the goal of taking Leon’s music in a more modern R&B direction while staying true to his signature style. Leon released two tracks to instantaneous praise earlier this week. “Bet Ain’t Worth the Hand” and “Bad Bad News” were Zane Lowe’s World Records on Beats 1 on Apple Music on March 13th. Listen to “Bet Ain’t Worth the Hand” & “Bad Bad News” here. Leon, known for his aesthetic and personal style, will release visuals for both tracks in the coming weeks. Good Thing is born from the song “Bad Bad News”, which contains the line “They say that I was born to lose, but I made a good good thing, out of bad bad news”. By now Leon’s backstory is well known; he went from working as a dishwasher and struggling through the open mic scene in his native Fort Worth, Texas to two-time Grammy nominated artist performing at the White House for President Obama, attending the Met Gala and appearing on Saturday Night Live in a two year span. Now a more experienced artist, this album showcases a man’s continued rise from little opportunity to embracing the world stage. As noted by Garden & Gun writer Matt Hendrickson, “If Coming Home was Leon Bridges in black and white, then Good Thing is Leon Bridges in technicolor”.